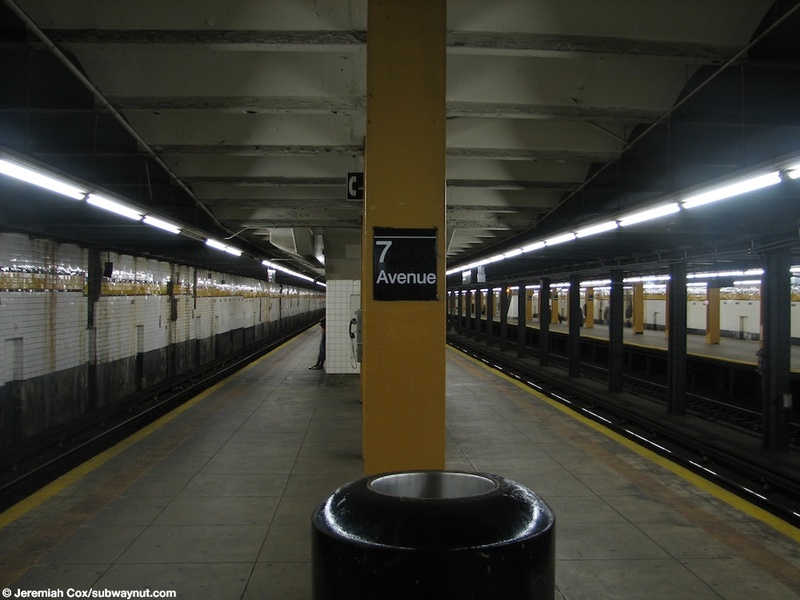 7th Avenue is an express station on the IND Culver Line. 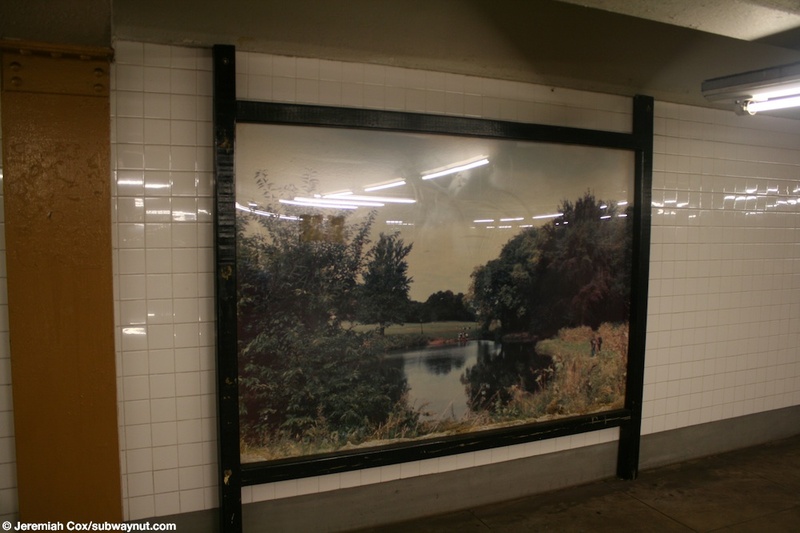 There are two island platforms for the four tracked line. 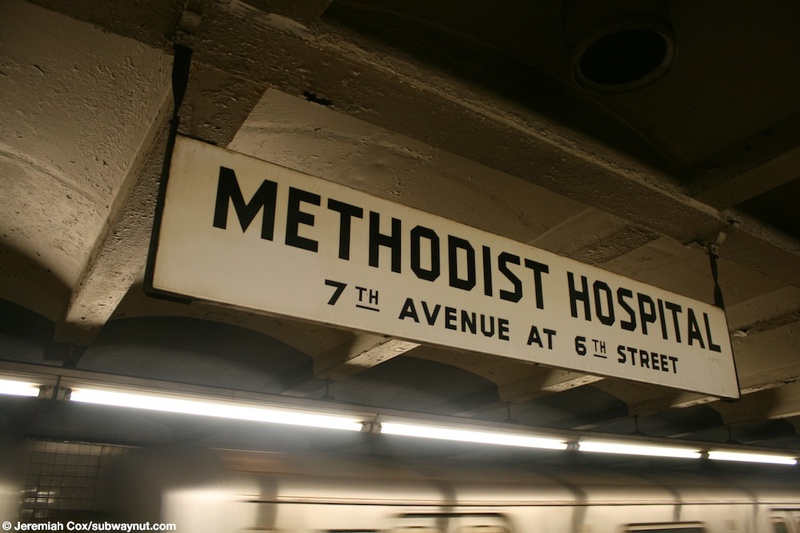 The station has two exits at either end of a full-length mezzanine, at the northern (western end) are four streetstairs up to each of the conrners of 7 Avenue and 9 Street at the southern (eastern end) are 3 streetstairsm up to the NE, NW, and SW corners of 8 Avenue and 9 Street. 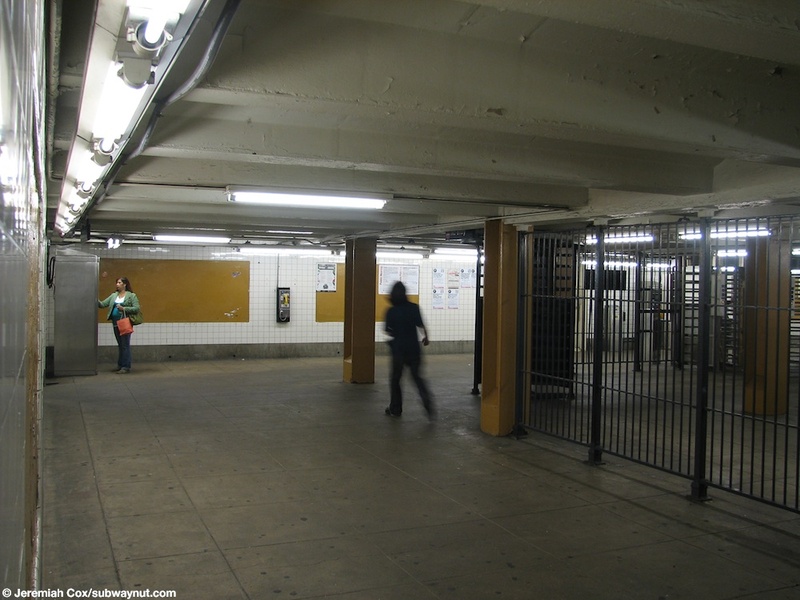 The mezzanine has a bit of an unusual design, there are high entrance/exit turnstiles at each exit at either end of it, and down from either end there are narrow passageways on either side of fencing that divides the area within fare control from that outside of it to an area in the middle of the station where station's token booth and turnstiles are, nowhere near either of the exits just between them. The portion of the mezzanine within fare control is spilt into two by the unusual fare control layout. 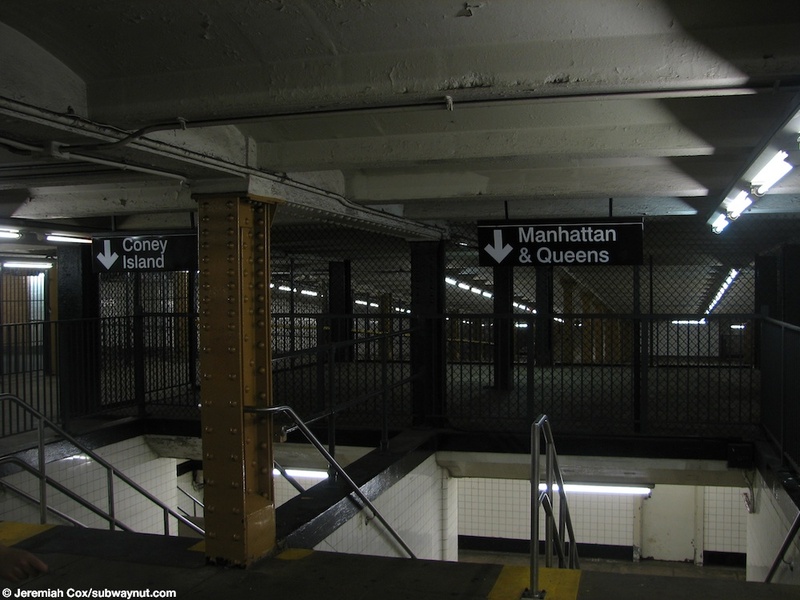 In addition towards the 8 Avenue end of the station the mezzanine slopes up quite a bit, requiring double flights of stairs from it down to the platforms. Decoratively the station has trim that's solid yellow in the middle, with a maroon boarder whose bottom layer is narrower than the top. 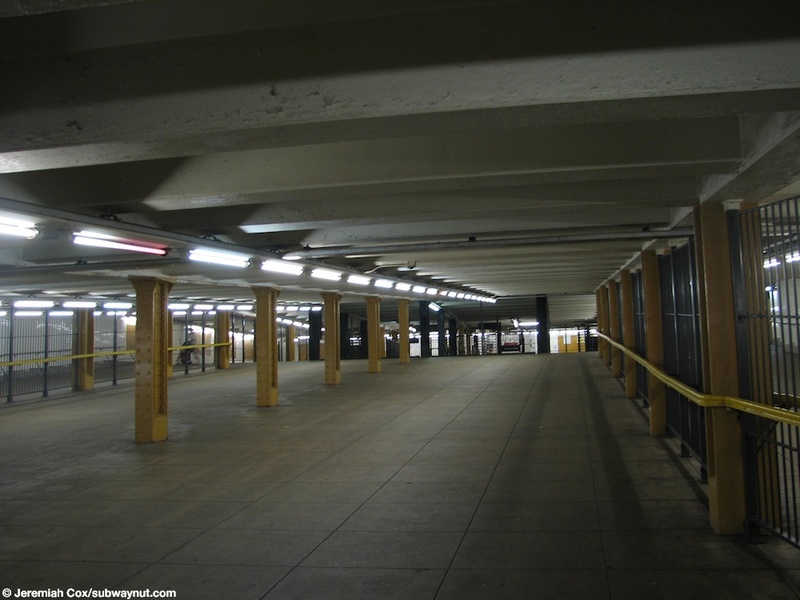 The station's columns, as well as those in the mezzanine are painted yellow as well. 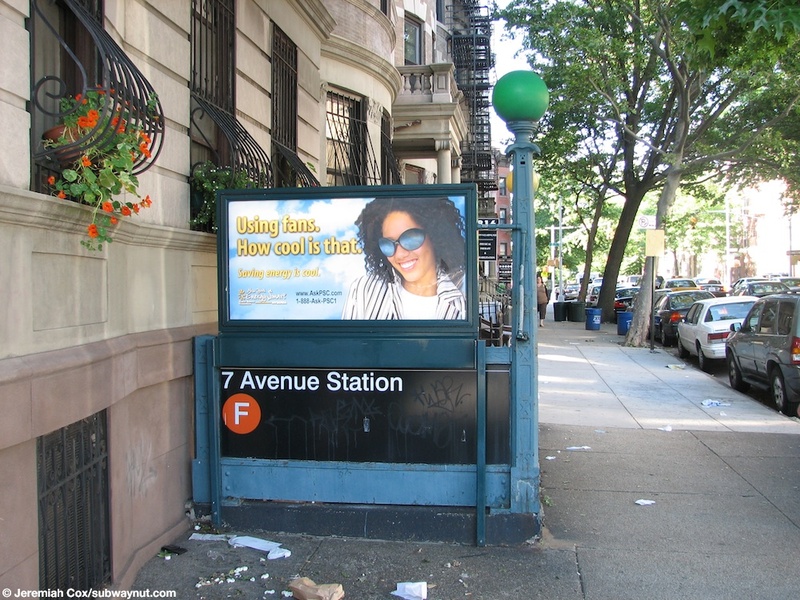 A street level entrance to 7 Avenue. Outside of fare control at the 8th Avenue end of the 7th Avenue end of the station. 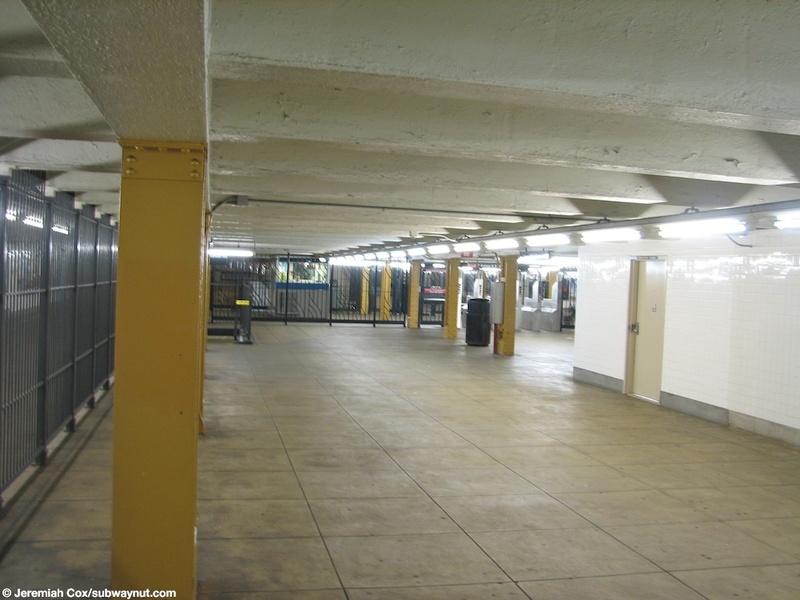 Looking down the mezzanine that slopes downward at the 7th Avenue Station outside of fare control so passengers can access the staffed token booth and turnstiles in the middle of the mezzanine that aren't near either of the station's exits. 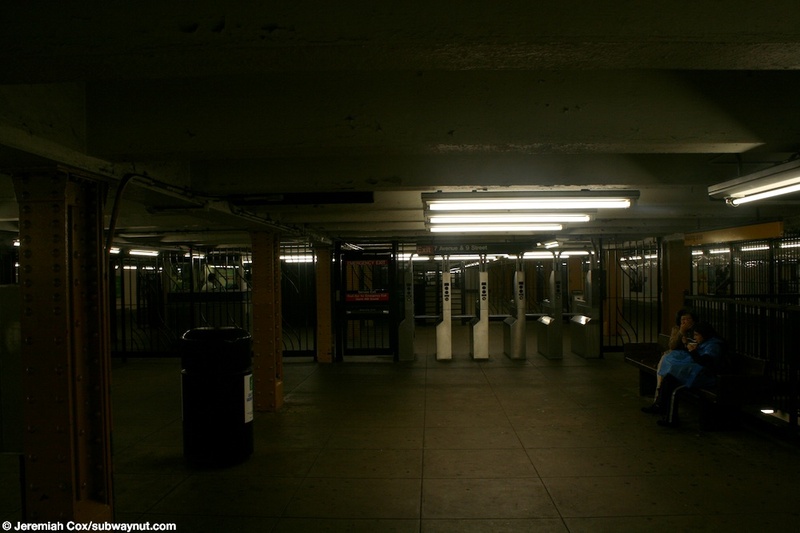 The High Entrance/Exit Turnstiles at the 8th Avenue end of the 7th Avenue station allow people to enter the subway station without walking half the length of the mezzanine to the staffed turnstiles. 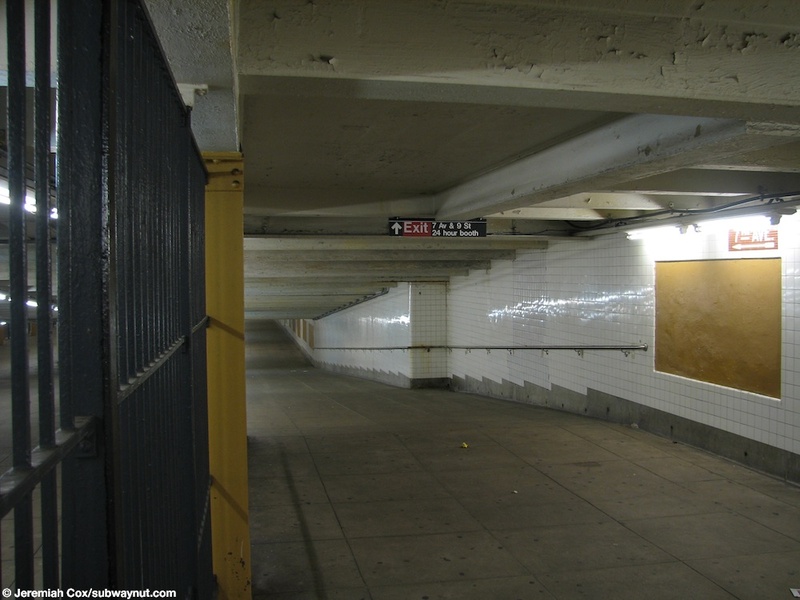 Staircases that lead down to a sub-lower mezzanine at 7th Avenue from the 8th Avenue entrance because the station's mezzanine slopes up to fallow the slope of Park Slope, even through the level of the tracks doesn't change. 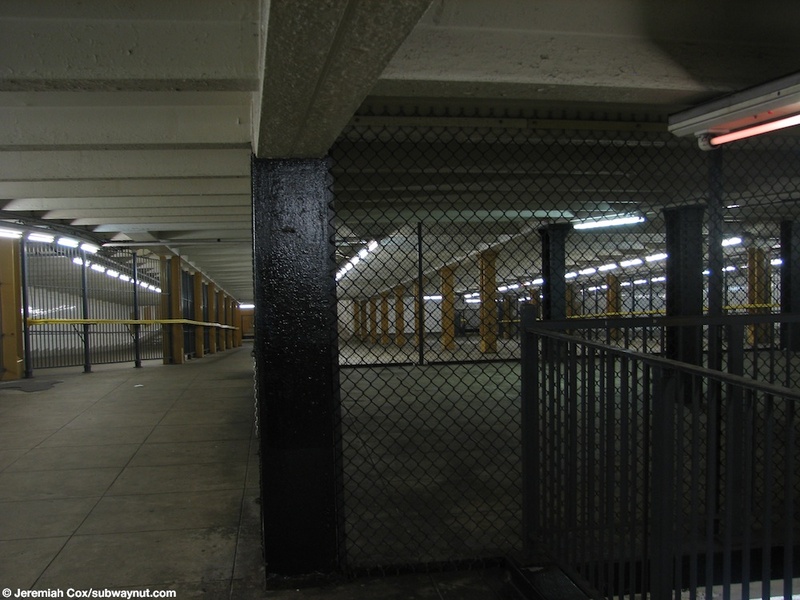 Looking through a chain-linked fenced off area of the mezzanine at 7th Avenue. 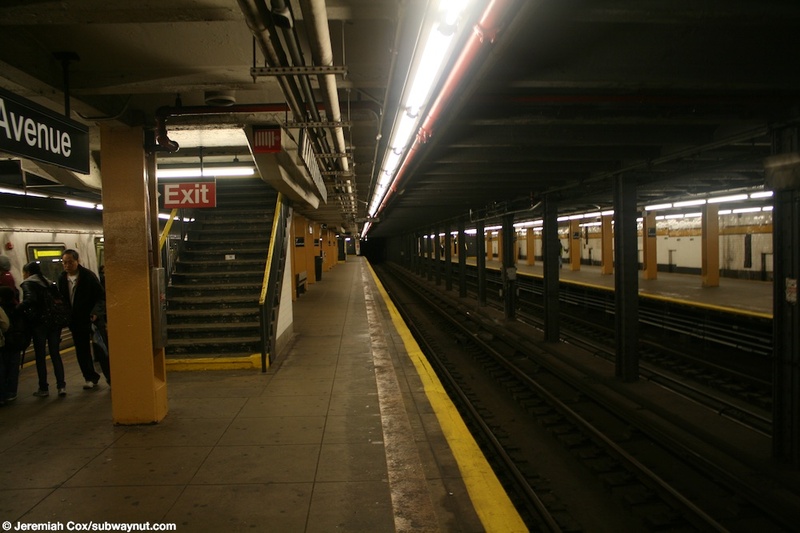 Looking down one of the two island platforms at 7th Avenue. 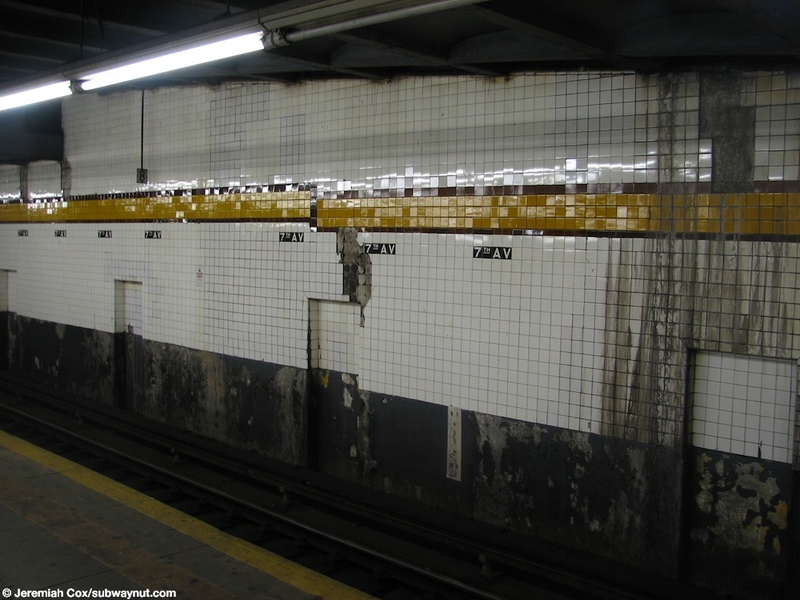 Mosaics falling off one of the platform walls at 7th Avenue. The station has a yellow trimline with a red boarder. 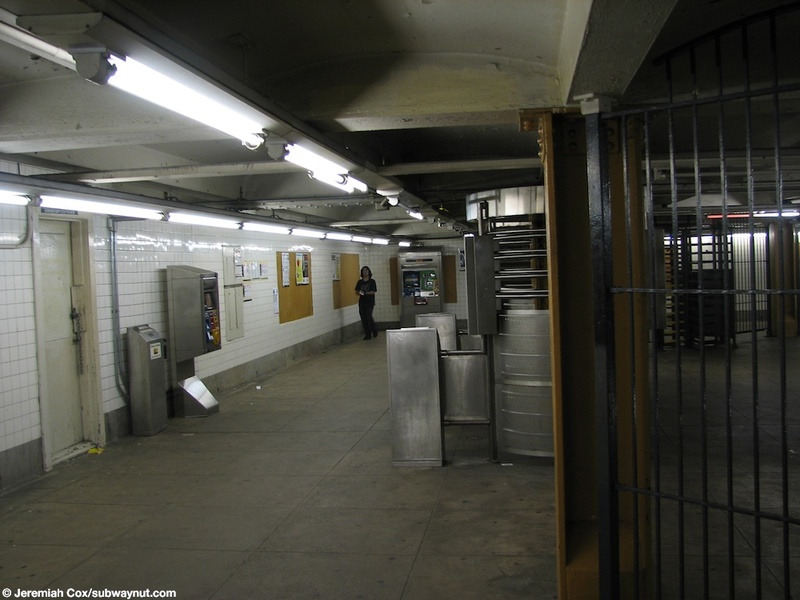 Looking down the mezzanine as it slowly slopes up at 7th Avenue. 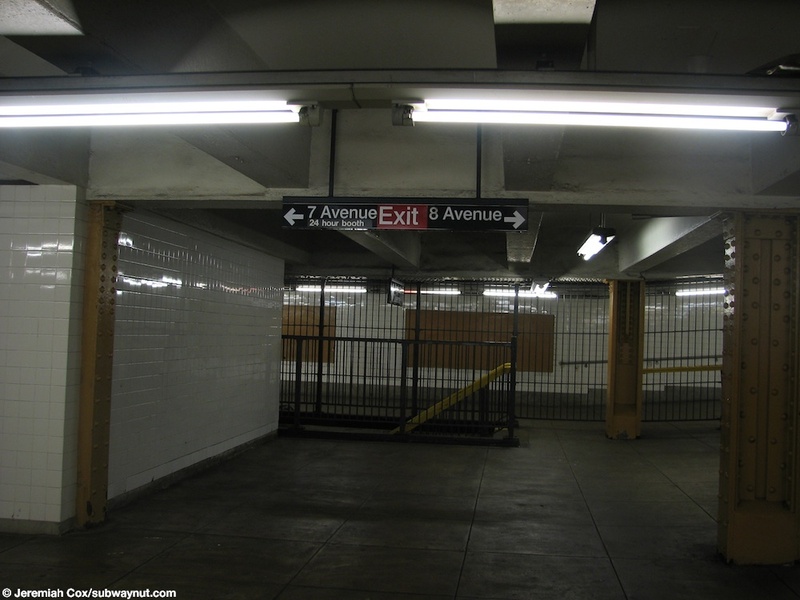 An exit sign on the mezzanine with signs for the two different exits to 7th Avenue and 8th Avenue. 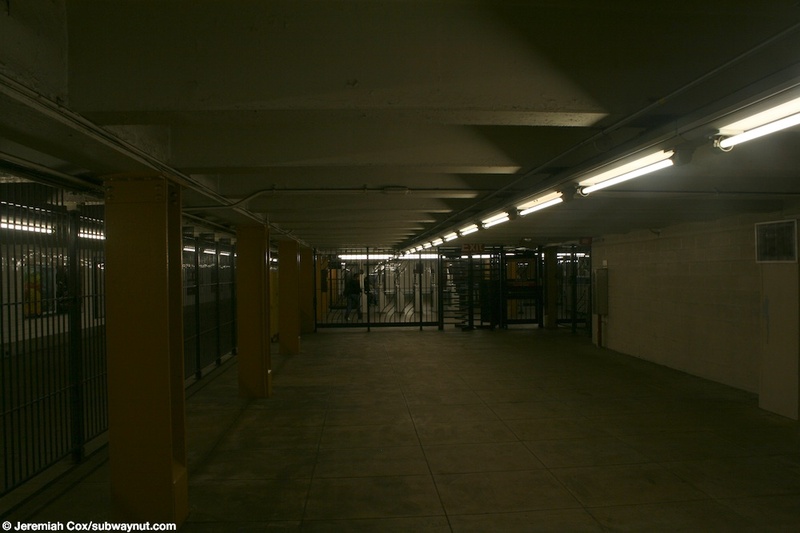 Looking down the 8th Avenue side of the mezzanine at 7th Avenue approaching the turnstiles that are nowhere near a station exit. 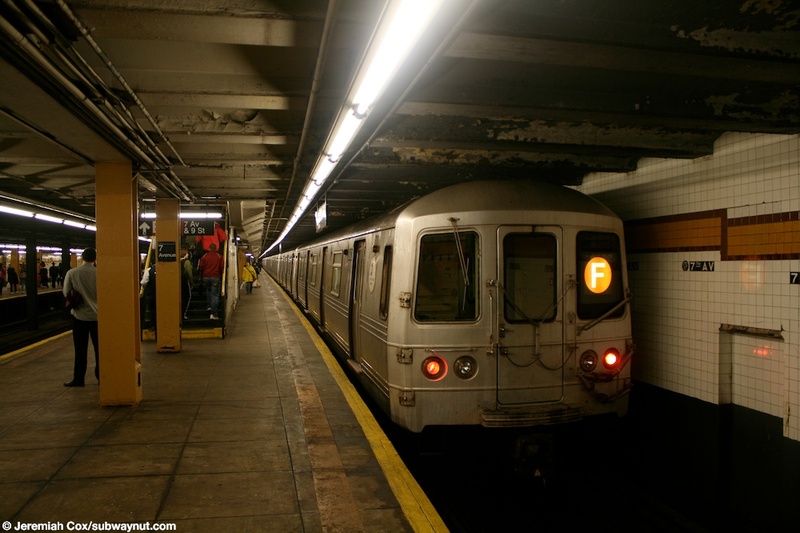 The back of a Coney Island-bound F train stops at 7th Avenue. 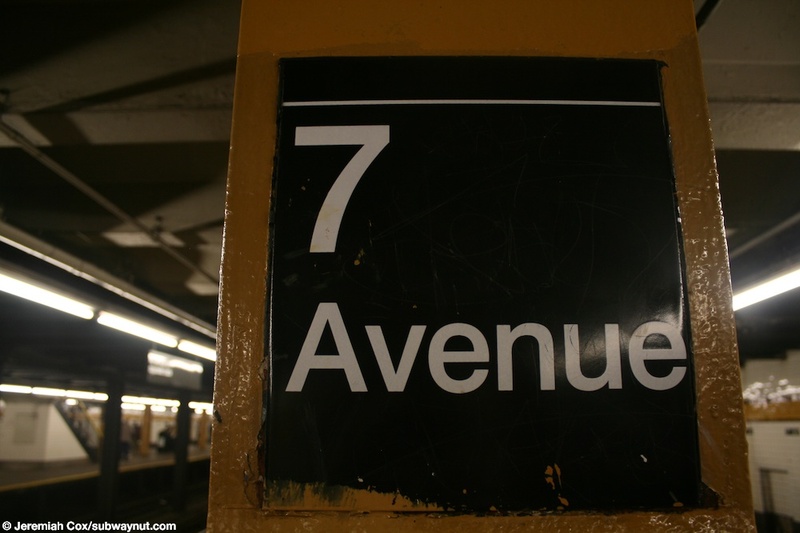 A close up of a 7 Avenue column sign. 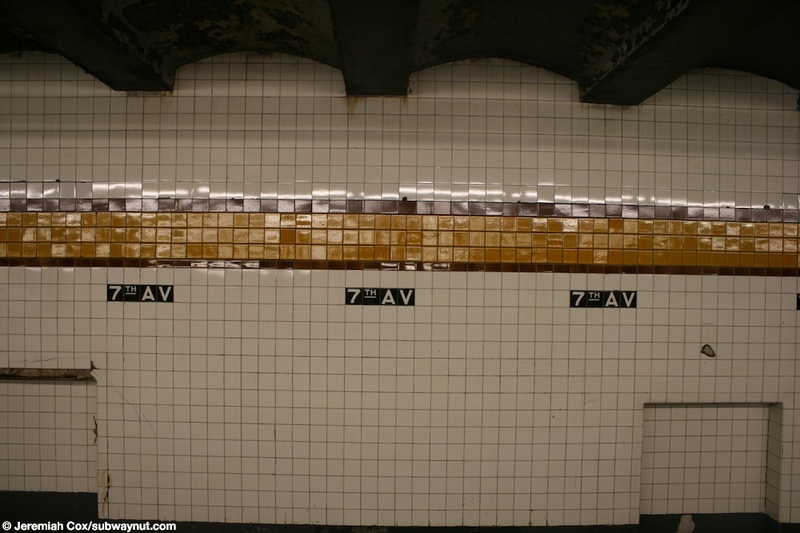 Intact tiling of the trim line at 7th Avenue with the 7th Av tiles written underneath. 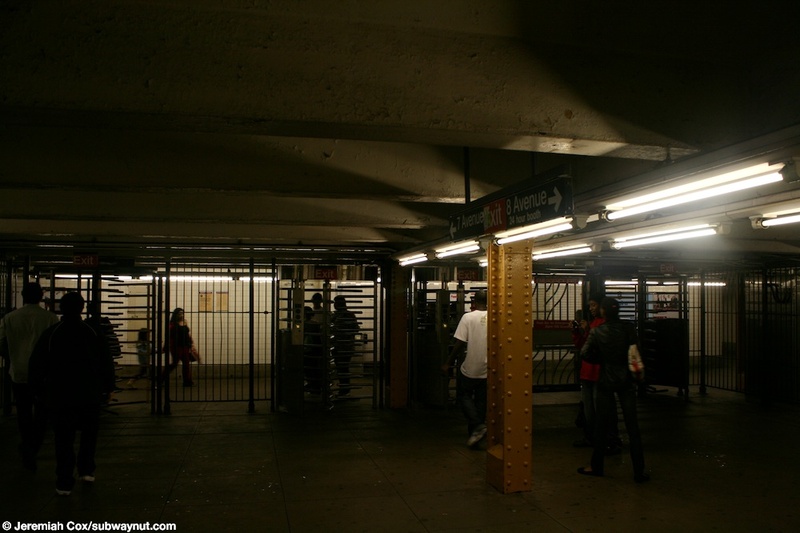 The High Entrance/Exit Turnstiles at the 7th Avenue end of the station, the turnstiles are in the middle of the station, between each of the station's exits that are at either end of the station. On the 7th Avenue portion of the mezzanine approaching a High Exit Turnstile from this portion of the mezzanine to the central gap in the portion of the mezzanine within fare control where the token booth is exactly in the middle of the station.